LISTED IS A 1992 M998 MILITARY ARMY HMMWV W/WINCH. 37K MILES. STARTS, RUNS AND DRIVES PERFECT. NO LEAKS PERIOD. EVERYTHING WORKS PERFECTLY. NOT A WORN OUT LEAKY HMMWV. THIS HMMWV HAS REAL CARC CAMO PAINT, RADIAL TIRES (90%), STARTS RIGHT UP IN SUPER COLD WEATHER, NO SMOKE. NICE RUNNING AND DRIVING HMMWV. GREAT POWER, NO SHAKES, RATTLES, NOISES, NOTHING. SMOOTH DRIVING. PLEASE CHECK OUT THE PICS CLOSELY. EMAIL OR CALL FOR MORE DETAILED PICS. NOW IS YOUR CHANCE TO OUTFIT THIS HMMWV WITH WHAT YOU NEED OR WANT. 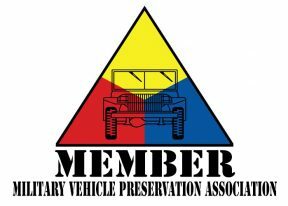 THESE REAL HMMWV’S WILL ONLY CLIMB IN VALUE. CHECK OUT THE PICS AND CALL WITH ANY QUESTIONS. I CAN PERSONALLY DELIVER IF NEEDED. COMPARE. NOT MANY IN CIVILIAN HANDS..! OWN THE HMMWV THE GOVERNMENT DOSEN’T WANT YOU TO OWN. ITS ONLY GOING TO GET WORSE. ON ROAD CLEAN TITLE. TRANSFERABLE AND READY TO REGISTER AND DRIVE ON THE ROAD. THIS TRUCK WOULD BE PERFECT AS A BUG OUT VECHILE. YOU CANT PUT A PRICE ON YOUR FAMILY’S SAFETY. I HAVE A CLEAN TITLE. CAN BE INSURED AND REGISTERED AS A “HISTORIC” VEHICLE.